A PhD is always (as far as I know) an individual piece of work. The point is to make and defend an individual contribution to knowledge in your given field. This emphasis on an individual contribution can make doing a PhD a long, lonely, isolating route to the award, as evidenced by the stories of depression, mental illness, dropping out and associated long-term feelings of failure often reported in articles such as in the Times Higher Education. Those who cope with this either relish working alone and don’t need to discuss what they are doing even with a supervisor, or, more likely, they have been proactive in nurturing a supportive network around them of family, friends and colleagues. My PhD was neither long, nor lonely; even so I benefitted from the support of many friends, colleagues and my family. 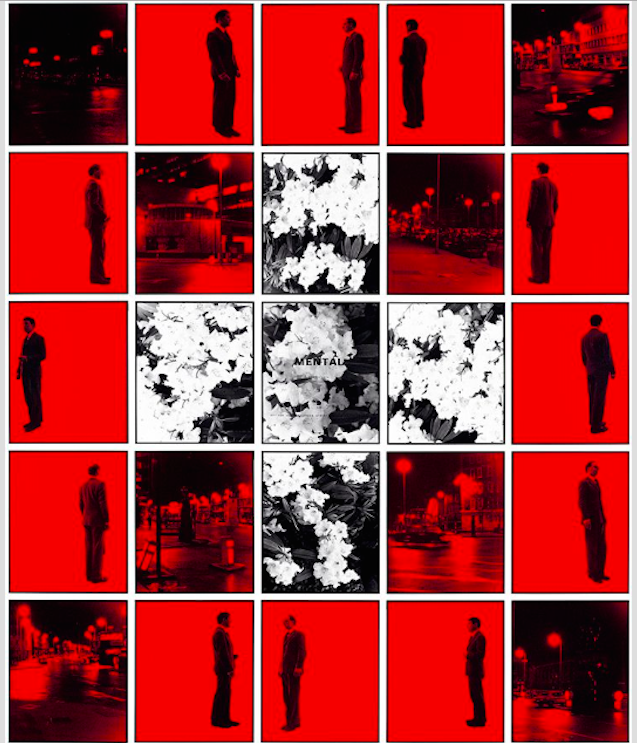 Officially, there seems to be no such thing as a collaborative PhD (as in the style of the artists Gilbert and George, who work together to create their art), although PhDs may result from collaboratively funded projects between universities and outside organisations and who’s to say whether an individual PhD thesis has involved collaborative writing, but that seems unlikely. However, I do know of a Masters dissertation where, unbeknown to the marker, to meet the deadline one chapter was written entirely by the student’s father. This was not even collaborative. My own PhD (by publication) required the submission of a selection of published papers together with a supporting statement which expounded the overall contribution to knowledge in my field. Whilst my PhD thesis (supporting statement) was written by me alone, and could only be written by me because it incorporates work with eleven different research teams (i.e. none of my collaborators have had the same overall experience), all my published papers have been written collaboratively. I consider this to be a strength of my research for the reasons I have stated in the thesis (see pages 48-50 – Jenny Mackness PhD (Pub) 2017). At an early meeting with my supervisor, Paul Ashwin, we discussed whether all the papers to be submitted should indicate the percentage contribution of each author. Some PhDs by Publication do this, but I strongly resisted it. It seems to me that an attempt to measure a contribution in a collaborative project works against the spirit of collaboration. As I explained in my viva (I was challenged on this), a contribution might range from coming up with the one key idea or identifying the key research paper that changes the direction of the research, to hours of data analysis. How would you put a measurement figure against these different types of contribution each of which is essential to the successful outcome of the research? In addition, in most of my collaborative research the work has been conducted jointly, i.e. all the authors have been involved in the different aspects and phases of the research, framing the research questions, collecting and analysing the data, writing the paper and so on. Although the lead authors in my papers have been recognised as the person who has taken most responsibility for the research and the paper, in my research there has never been an author who didn’t merit having their name on the paper. We have been mutually accountable and the research has been enriched by the diversity of individual and alternative perspectives which have helped to guard against subjectivity and bias. In my thesis, I argue that collaboration was central and essential to my research. Beyond the world of the individual PhD student, it also seems to be central and essential to many if not most research projects. Examination of my literature review reveals that the majority of peer-reviewed papers are co-authored (see p.56 -78, Jenny Mackness PhD (Pub) 2017). Only a third of the papers in my reference list were single authored. As I write in the thesis, there have been recent calls for more multi-disciplinary research, international and diverse teams (see p.52, Jenny Mackness PhD (Pub) 2017). This type of research requires considerable collaboration skills. These are not easy skills to acquire. I wrote about this in the early days of my research – Reflections on Collaborative research. The thoughts I had then still stand, but despite potential difficulties, I think I will always favour collaborative research over individual research. My ongoing experience of collaborative research and reflection on my PhD by Publication has made me wonder again why any PhD student must endure years of working alone when the benefits of collaboration are not only obvious, but ultimately necessary for a career in academic research. Why do a PhD by Publication? Why do a PhD at all? There are many reasons for doing a PhD. I have friends who have completed or are working on research PhDs, i.e. they research a topic of personal interest for three or more years, or taught PhDs, where six taught and assessed modules are completed over the first two years, before embarking on a shorter thesis which takes two years or more. Reasons seem to be a combination of personal interest in the chosen topic and career incentives/ambitions and from what I have seen the award of a PhD can lead to new career opportunities. My reasons did not relate to my career, but they did relate to changing personal circumstances. I have recently reached my eighth decade (70 as of last November to be precise) so a PhD as a career move was not relevant for me. In fact, it might mark the end of my research career. I haven’t decided yet. I needed to do it for myself. Although I knew that it was possible to do a PhD by publication, I thought I probably wasn’t eligible. 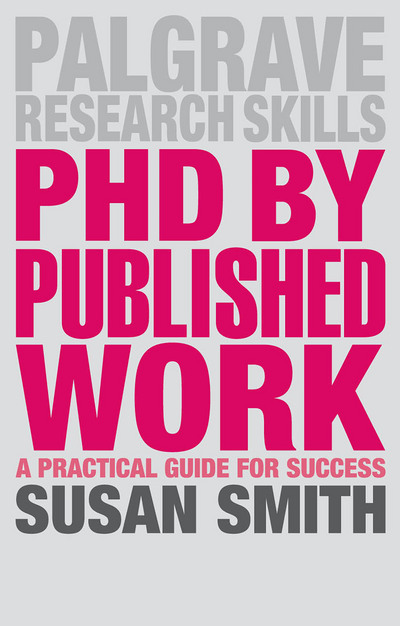 Many Universities will only take members of staff to do a PhD by Publication. When I went to Lancaster University in January 2016 to enquire about doing a PhD, I went with the intention of starting a full research PhD. It was Professor Paul Ashwin, Head of Department, who ultimately became my supervisor, who asked me why I wasn’t considering a PhD by Publication. Interestingly the Educational Research Department at Lancaster University, which has awarded my PhD, has no mention of a PhD by Publication on its website , but Paul found out for me that I was eligible at Lancaster University to do this, since I am an alumna (my MA) and I worked for nine years for an associated institution. So what did I have to do for this PhD? PhDs by publication in the UK don’t seem to be very common – and I am not talking about the kind of PhD which is assessed by the papers that are written and published as part of the PhD study. That kind of PhD seems quite common in some countries in Europe and in Canada. My PhD by Publication was different. 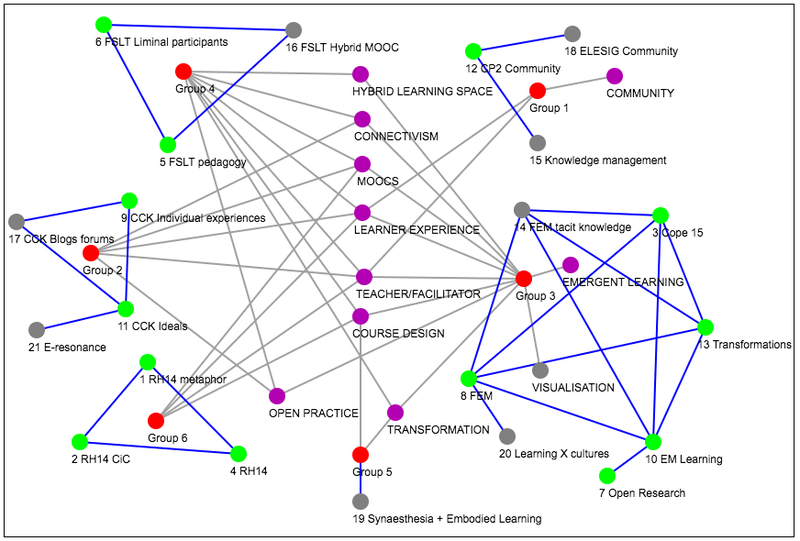 It involved drawing on existing published papers and making the case for a contribution to the body of knowledge in the field studied (in my case – learners’ experiences in connectivist MOOCs). This act of retrospective coherence was particularly apt for me, since a lot of my research has been into exploring how emergent learning occurs in complex adaptive systems – namely open online learning environments. Different universities have different requirements both for entry and for the thesis submission, for a PhD by Publication. In my case the application was as much work as the thesis submission, although that was partly my own choice as I decided to try and do most of the work (i.e. the Literature Review and mapping analysis of papers) upfront, leaving me less to do after acceptance. If the application is successful, you would then work with an internal adviser to expand on the supporting paper, so this is not the final submission, basically it’s the starting point in order to ascertain if your work is at the appropriate level, i.e. PhD. During the PhD I kept a comprehensive journal of all my thinking and progress on a private wiki which I only shared with Matthias Melcher, who was wonderfully critically supportive and encouraging throughout the whole process. What is so amazing about this is that we have never even met face-to-face. Matthias was there at the very start of my research into connectivist MOOCs. We ‘met’ in CCKO8 – the first ever MOOC. Looking back at my wiki notes I see that I started to think about applying for a PhD in December 2015 and had my first meeting with Paul Ashwin at Lancaster University in January 2016. I submitted my application at the beginning of June 2016 and my thesis (supporting statement) at the beginning of December 2016. My viva was at the end of March 2017 and my final submission with minor revisions in May 2017. These were accepted June 2017. Through most of this time, I worked full time on the PhD. Today I can christen this mug which was sent to me by my friend and collaborator, Mariana Funes (herself a Dr of long-standing) at the end of March, when I was told by my examiners that I had been awarded a PhD subject to three minor revisions. 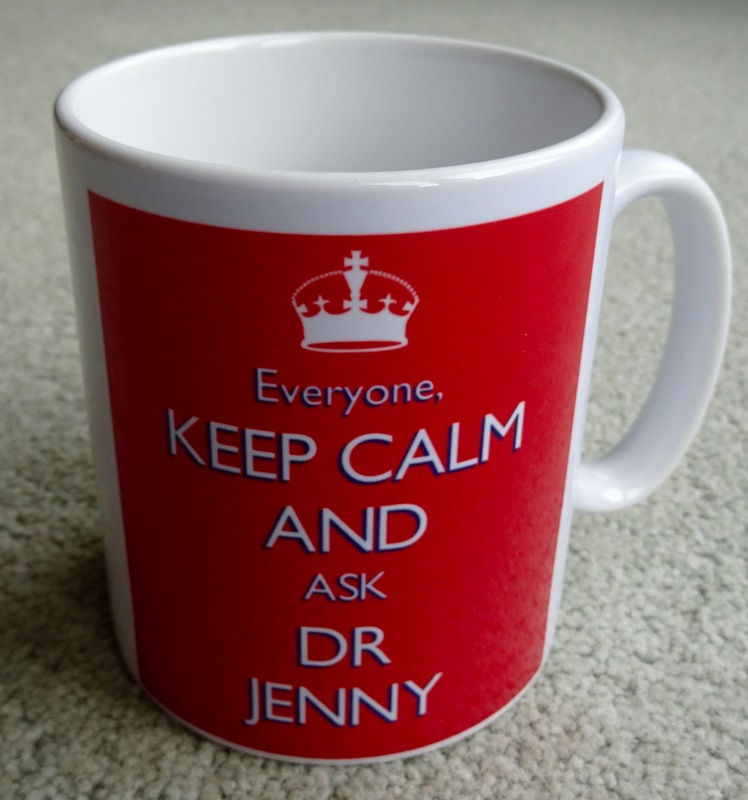 I have viewed the revisions to Jenny’s thesis submission suggested by the examiners at her viva on the 30th of March. I can confirm that they have been undertaken thoroughly and the account and justification of her contribution to knowledge is clear. I recommend that she should now be awarded the degree of PhD. I have a lot to reflect on and say about this PhD, principally because it was a PhD by publication – a bit of a different animal. I still have to be formally awarded this PhD by submitting a bound hard copy to Lancaster University (UK) library and attending an award ceremony in December, but given the revisions have been accepted, I now feel I can add PhD to my signature and post my PhD here on my blog. But most important for me at this stage is to acknowledge my collaborators, without whom this PhD would not have been possible – I will write more of this later – collaboration and PhD aren’t two words that normally go together. So here is a copy of the Acknowledgements section in my submission. I have been encouraged and supported by many people since I started researching learners’ experiences in MOOCs in 2008. Everyone acknowledged here has played a significant role in the act of retrospective coherence that is this PhD submission. John Mackness has been a staunch critical friend throughout this process. Matthias Melcher has also, over these years, been hugely supportive, challenging my thinking and broadening my perspectives through ongoing online discussion. Stephen Downes, Mariana Funes, Debbie Simpson and Roy Williams all provided comprehensive and very helpful comments on my final draft. Many thanks to you all. All my work has been collaborative. I have learned so much from the generosity, friendship and expertise of my collaborators. Special thanks are due to Roy Williams, with whom I have collaborated on many papers, for his unerring courtesy and kindness and for introducing me to new ways of thinking. I am also indebted to all my other collaborators; Frances Bell, Mariana Funes, Karen Guldberg, Simone Gumtau, Regina Karousou, Liz Lovegrove, Sui Fai John Mak, Elpida Makriyannis, Matthias Melcher, Jutta Pauschenwein, George Roberts, Rhona Sharpe, Charlene Tait, Carmen Tschofen and Marion Waite. I consider myself very fortunate to have had the opportunity to work with you all. It has been a privilege. Thank you too to Allison Littlejohn for her timely advice on applying for a PhD by published work and to my supervisor Professor Paul Ashwin for encouraging and supporting my submission for this award and for his astute feedback on my drafts. Final thanks are due to my External Examiners Professor Sian Bayne and Professor George Veletsianos and to my Internal Examiner, Professor Murray Saunders. As with all PhDs the process has been a significant learning experience, which I have recorded as I have gone along, starting in December 2015. I will be writing more blog posts about this process as a PhD by publication is still not a very common route to this award and certainly not a PhD for which the papers have been written before applying.